The 20 most effective ways preparing for your Everest Base Camp Trek. I have climbed Mt. Everest to the summit. 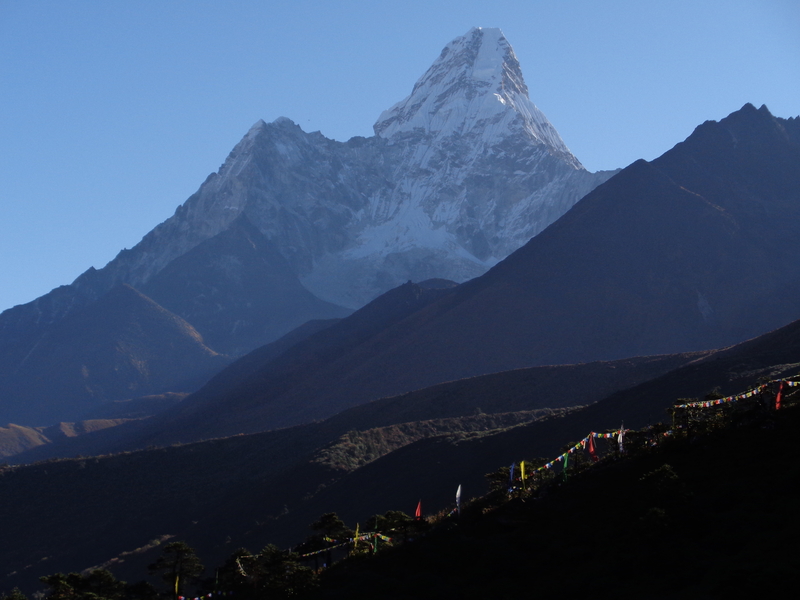 Island peak 10 times, Ama Dablam, Mera peak 5 times and lead 30+ treks to Everest Base Camp. I really want to see people have the quality information in their decision making and preparation for the trek to Everest. I will list the 20 most effective ways to prepare for your Everest Base Camp Trek in order of important. As you start ticking off the your list of things that need to be done in your preparation for thus trek to Everest Base Camp. Everyone has different concerns and questions so feel free at ant stage of reading this information to PICK UP THE PHONE and speak to me or EMAIL ME NOW. Start thinking about tackling the most important ones first and then go from there. 1). 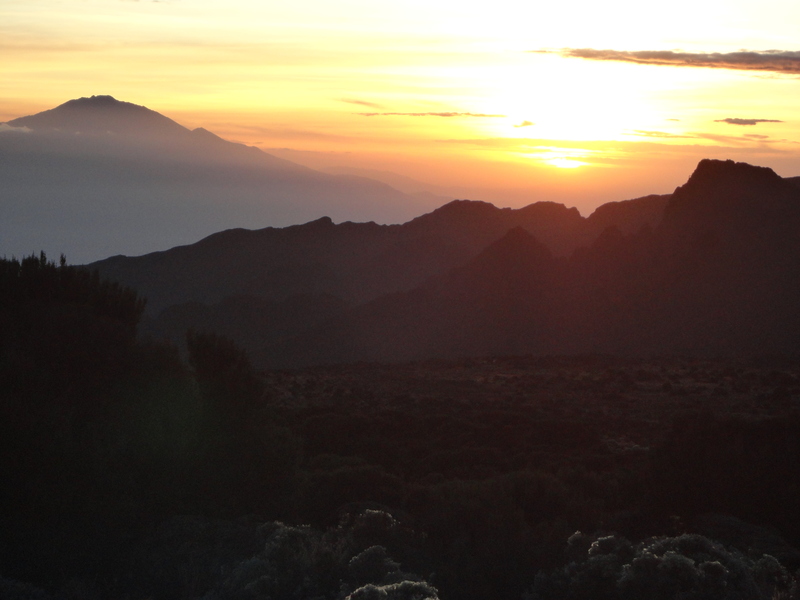 First of all you need to have the maximum acclimatization built into your itinerary. We highly recommend 3 nights in Namche bazaar at 3,500m/ 11,500 feet. More time spent at this elevation gives you a safer experience in a low oxygen environment. This additional time at this critical acclimatization point helps you produce more red blood cells helping you carry more oxygen and move safely to lower elevations. Not everyone makes it high into the Everest region so it is CRITICAL to acclimatize well lower down before moving higher. Trust me, I know what I am talking about. I have learned from making all the mistakes at high altitude. 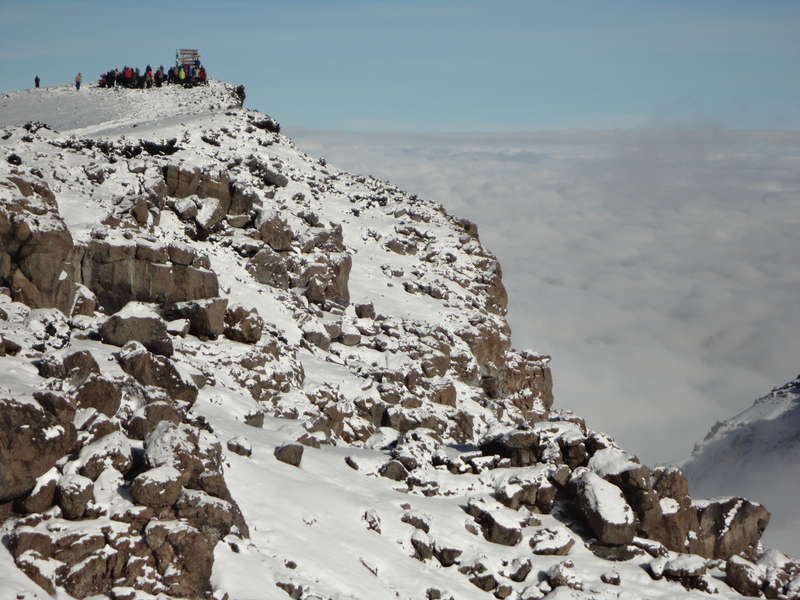 Any less than what we recommend and you run the high risk of getting serious AMS (high altitude sickness). Your chances of success go down if you spend less days acclimatizing. 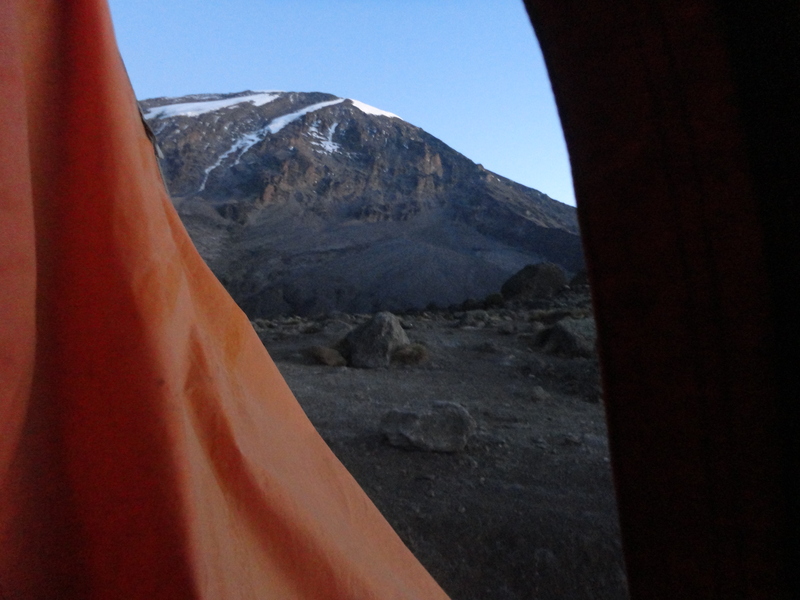 Having the best acclimatization should be your number one concern. 2). Specific physical conditioning is REALLY IMPORTANT. You are not running a marathon, you are hiking up and down the side of a big mountains on route to Everest with weight (6kg/12lbs) on your back. Some days are longer than others. Check out the daily distances on the Everest Base Camp Trek. Your endurance training and leg strength is far more valuable than fitness. That doesn’t mean you don’t have to work on endurance and cardio training. You are not running a marathon so no need to be running. No problem mixing up your training but running should not be your core focus. You need to put on a weighted back pack, building up the weight you will carry and be training 4 to 5 times a week. 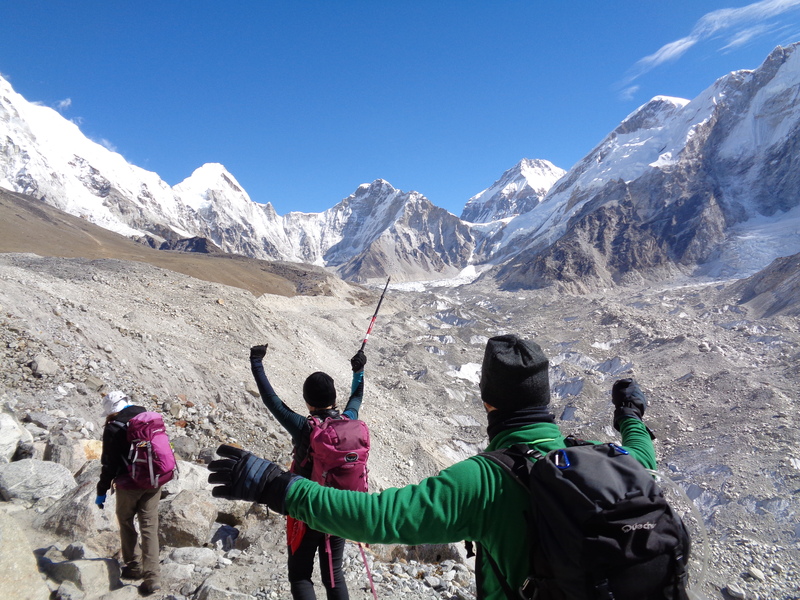 We will walk and talk you through the best way to prepare for your Everest Base Camp Trek. 3). Understand the elevation gains so you can prepare correctly. If you are trying to build a training plan that works for you. You need to understand the elevation gains for each day of the trip. Think about this a little more. 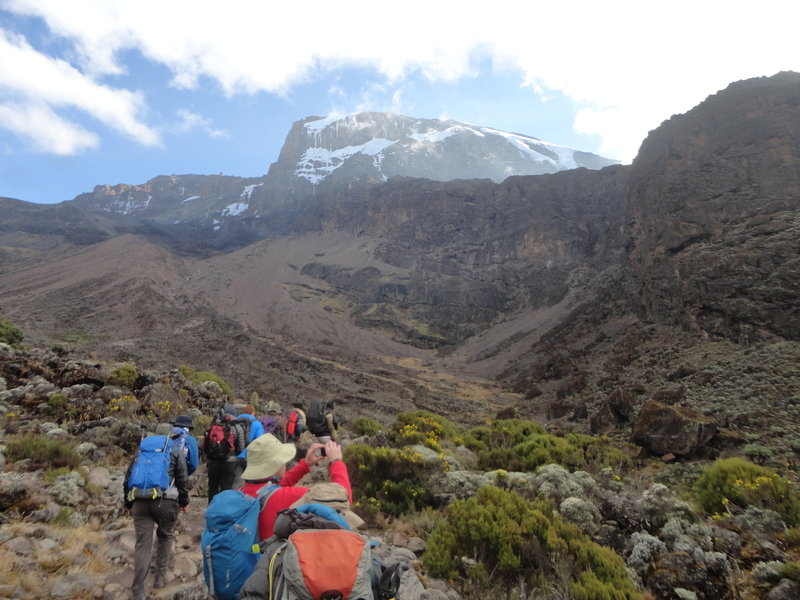 If you have the daily distances, daily elevation gains on on your Kilimanjaro climb, daily hours hiking per day, you will be able to build a training plan that works for you. 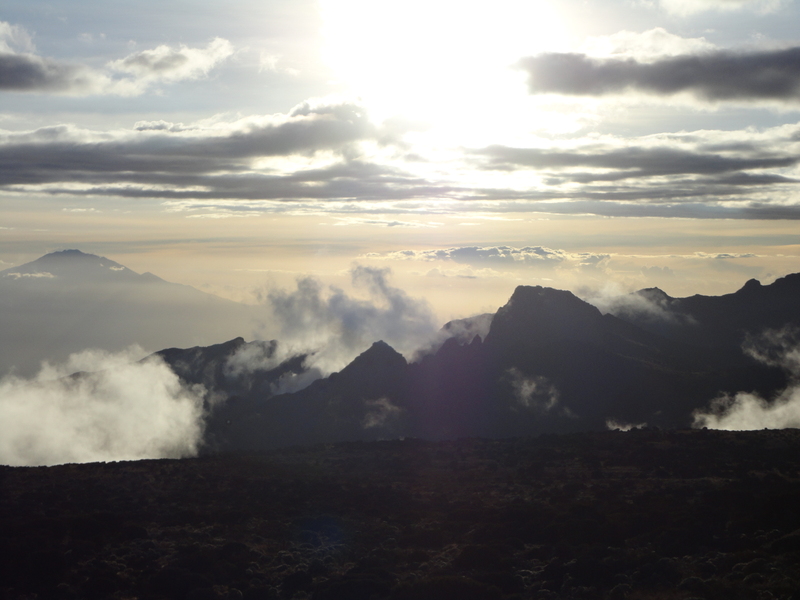 Yes you will have 30% to 50% less oxygen getting to your muscles so the best way to prepare for climbing Kilimanjaro is put your muscles under more pressure at sea level. The best way to do this is keep adding weight into your back pack even when you are in the gym on each training session. You should increase the weight month on month. 4). Build the right training program. So this is just a follow up on number 3. You need to be building up your preparation 3 to 6 months ahead of your climb. If you do not have access to hills and mountains you need really focus on how you are going to get the strength and conditioning for the trek to Everest Base Camp. 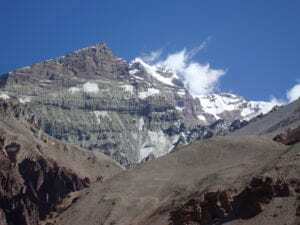 To develop the right training plan you need to understand the elevation gains, weight you will carry each day, daily distances on the trail to Everest Base Camp. Only then than you develop the right training plan based off the above information can you be successful. Why not get a FREE CONSULTATION! today and start getting professional advice from experts. 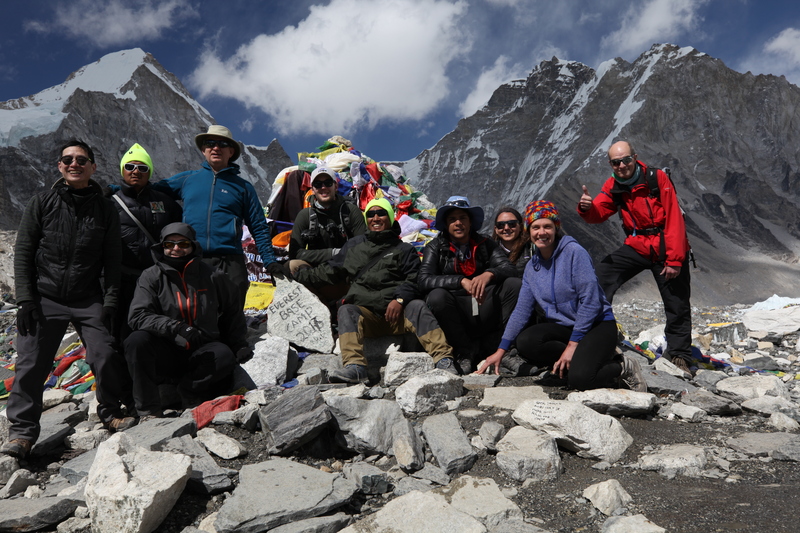 All our office based staff have trekked to Everest Base Camp over 35 times. 5). Make sure you have the right clothing. Having the right sleeping bag, trekking boots, merino layers are really important. Watch our PACKING VIDEO. You will need to be getting as much sleep as possible. You will spend a lot of time in your room testing and sleeping. It is really important to be as comfortable as possible. You need the right layers, down jacket, gloves, trekking boots, back pack and smaller key items. In our 45 page dossier you receive on signing up we have an itemized list of kit and always available to help you make the right choices on clothing and gear for the Everest Trek. 6). Break in your trekking boots. It is really important to buy the right trekking boots early and then break them in. I like the La Sportiva Trango GTX trekking boots for my Everest Base Camp Treks. I prefer a more rigid sole on my trekking boots. The Trango boots are lightweight warm, water proof and really solid all round trekking boot that I can use trekking to Everest Base Camp, in the Alps, Morocco, Inca trail, Kilimanjaro and beyond. and lead into bigger mountains. 7). Having the right food is really important. 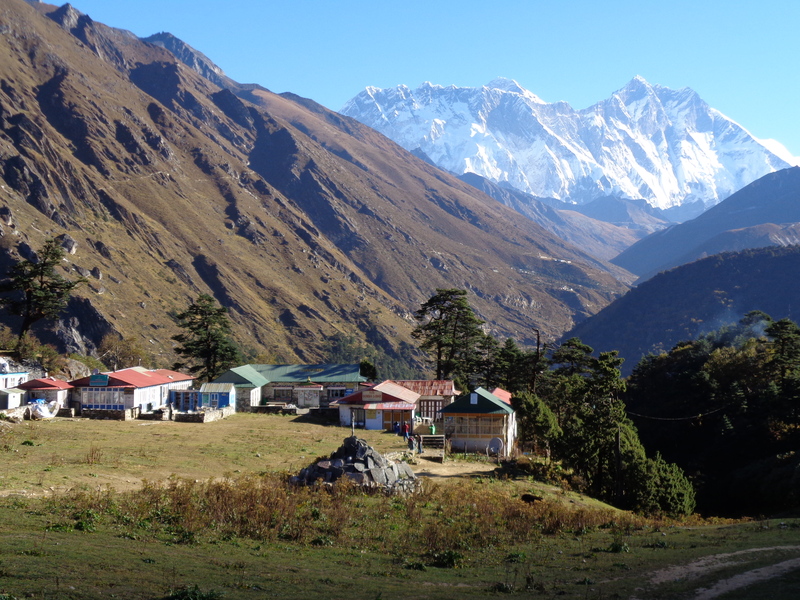 On an Ian Taylor Trekking trip to Everest Base Camp we use the best lodges with the best food. The food is not great on the trail but we aim to offer you the best available in the best lodges. Watch our FOOD AND ACCOMMODATION VIDEO. Trust me, fueling your Everest Base Camp adventure is really important. Do not pick the cheap Everest Base Camp Treks as they will land in poor accommodation with a higher risk of food related problems. 8). What vaccination should you be getting. You need to have some shots and be protected against malaria. Your doctor will recommend certain medication that you will need to bring with you on your Everest Trek. We include all medications required in our 45 page dossier which we share with you on signing up. 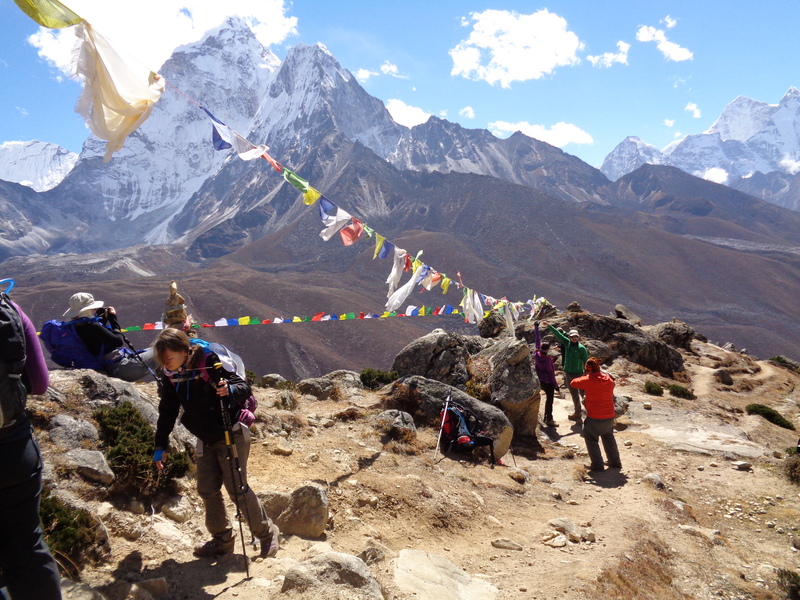 Check out our list of recommended vaccinations needed for your Everest Base Camp Trek. 9). Watch some of our raw footage from trekking into Everest Base Camp. You can watch both our quality Everest Base Camp Trekking video’s then watch some raw footage flying into Lukla airport. 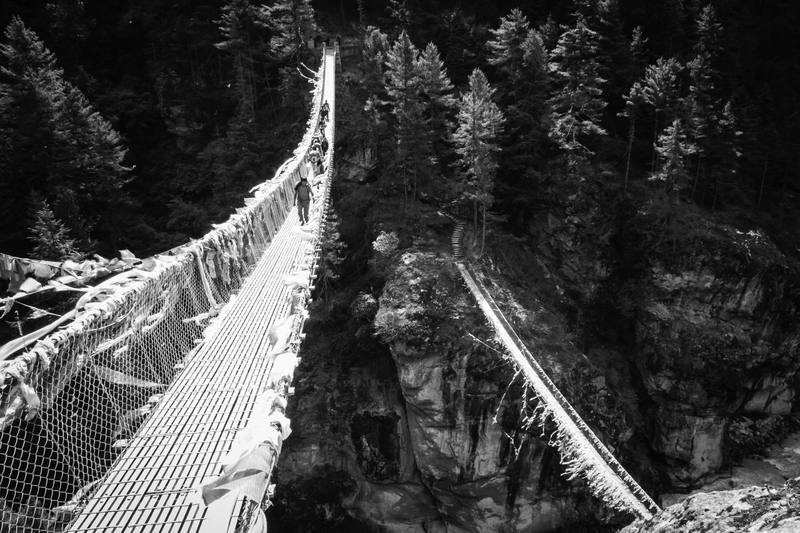 Watch some footage on the trail between Tengbouche and Dingbouche. Here is some footage from the acclimatization day above Dingbouche. Then view some footage above Lobuche trekking into Everest Base Camp. 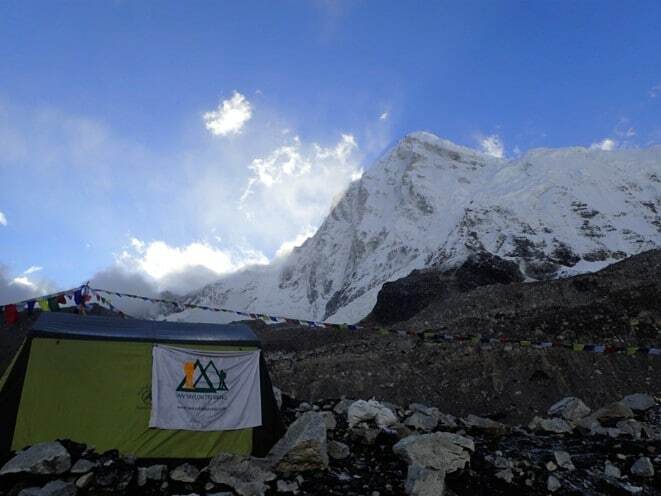 Do let us know and we can share further information with you, helping you prepare for your Everest Base Camp Trek. There are some long days on the way to Everest Base Camp and mostly on the way down. You need to be fully prepared for these long days. 10). 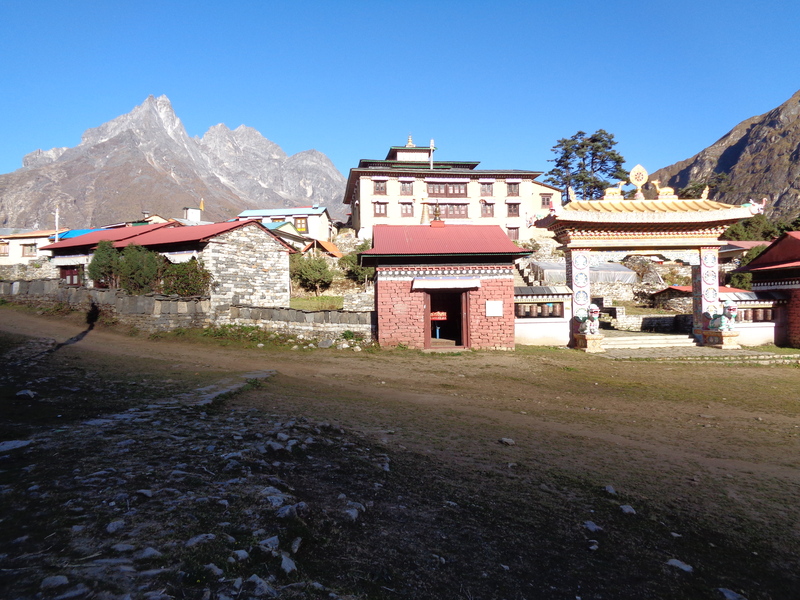 Get the best tips available before trekking into Everest Base Camp. We have worked on these Top 10 Tips for 10 years now. 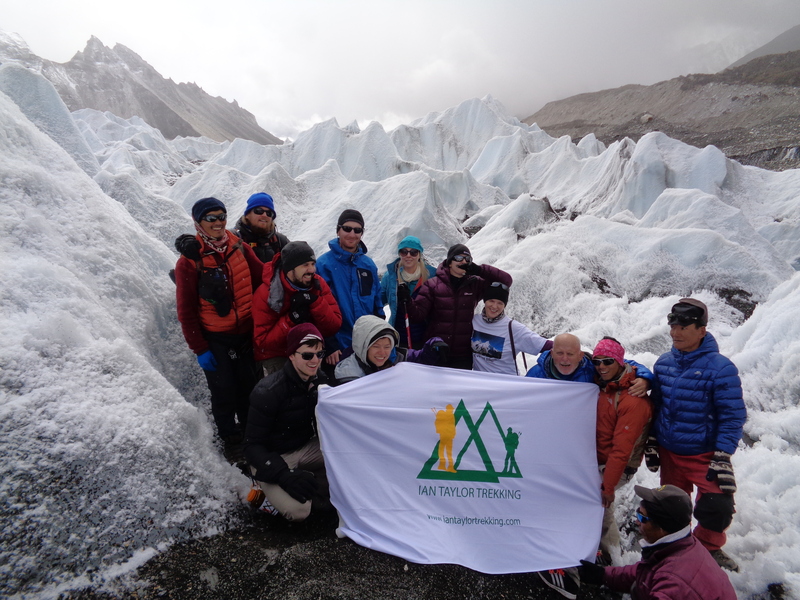 We have helped over 1,600 people reach Everest Base Camp over the years. These are the tips that work, time and time again. The two main reasons people are not successful reaching Everest Base Camp are 1). Lack of proper acclimatization 2). Lack of proper physical preparation. There are other things that come into play but there are the 2 key factors people miss manage in their decision making and preparation. Come prepared!! 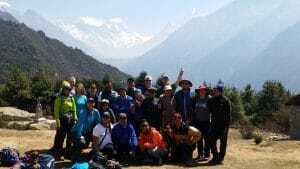 Just before you trek to Everest Base Camp, here are some TOP TIPS to remember while you are on the trail to Everest Base Camp. 11). Hydration on your Everest Base Camp trek is important. 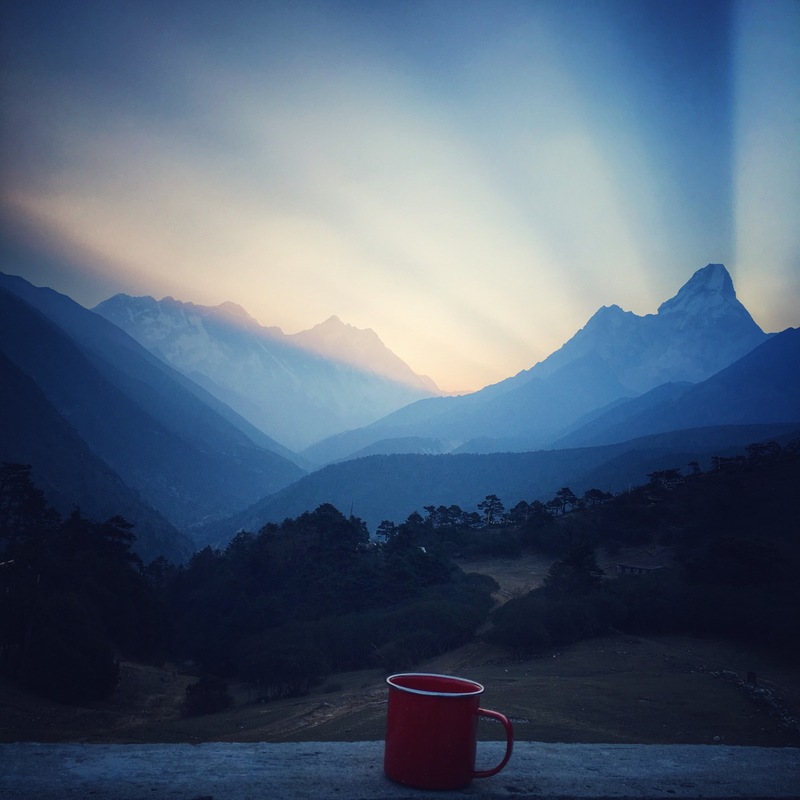 You need to be drinking water and hydrating prior to the climb and then drinking 4 to 5 liters per day on the trail to Everest. READ MORE about why hydration is critical in low oxygen environments. 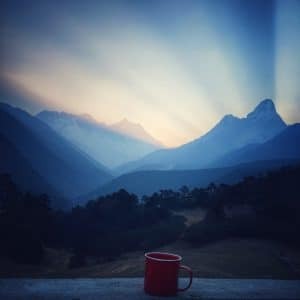 Making sure you are well hydrated, staying out of the sun and not getting sun burned are all really important things to remember on this and any high altitude trek. I always use a sun hat and stay as hydrated as possible. When I wake up in the morning usually at 6am I try and drink 1 liter of water by the time I head for Breakfast at 7am or at least before the end of breakfast. While I am at breakfast our amazing staff will take my camel Bak 2 liter hydration system and fill it. I will try and drink 2 more liters before lunch. At Lunch I can get another liter or 2 liters to drink. I like to be finished my hydration by 4pm each day. 12). 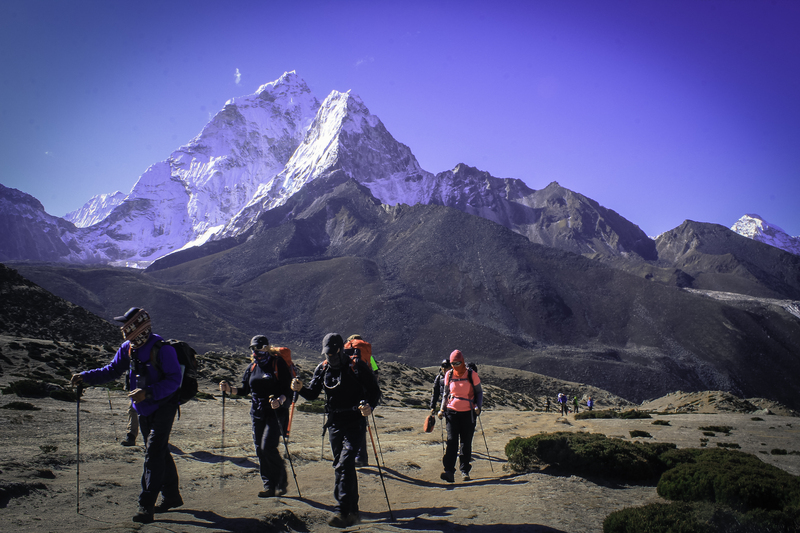 Getting the pace correct is critical to success on your Everest Base Camp Trek. Our team knows how to get you successfully into Everest Base Camp and back down with energy to spare. This does not mean you can show up unprepared. 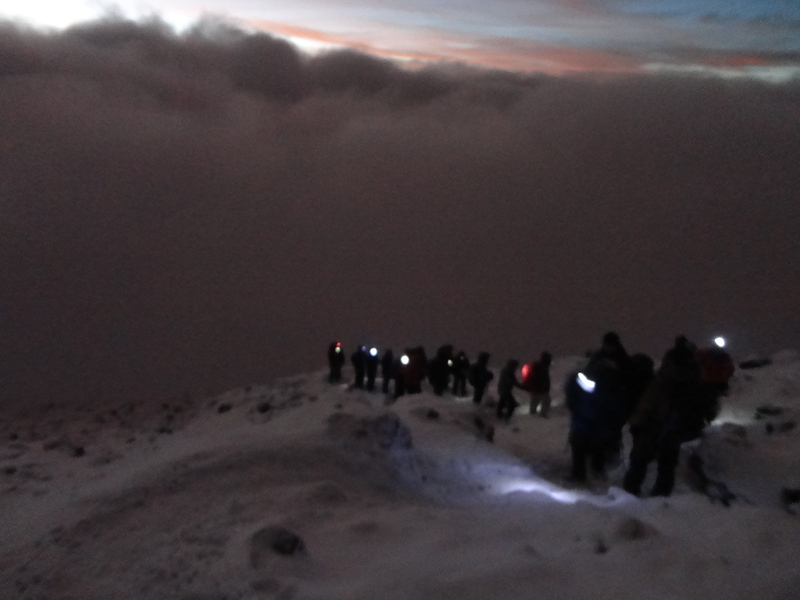 You need to come fully trained and prepared for this trek. Trust me coming down is a lot harder than going up so leg strength is super important. 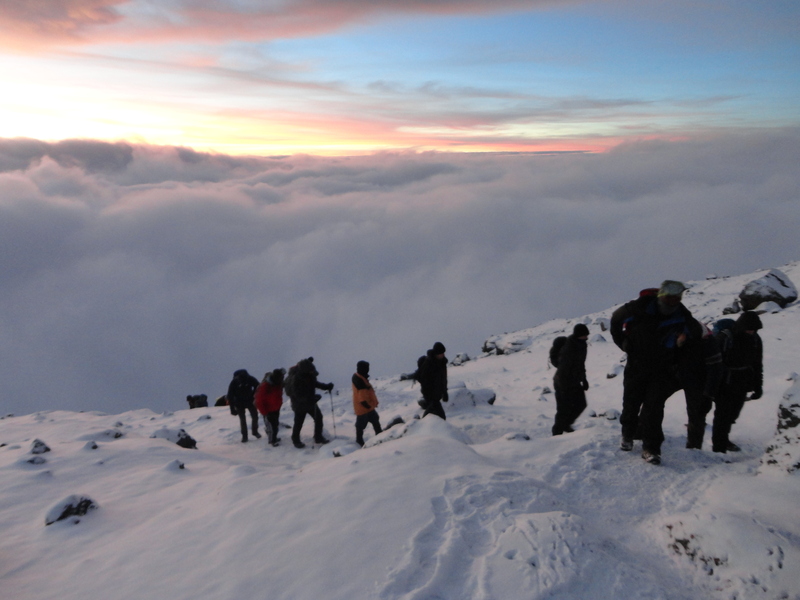 We can help you get the right training information for your trek to Everest. Think about physical activity at sea level. You can train hard and then go home rest and 100% oxygen helps your body, muscles recover so you can get up again the next day and train again. On the Everest trek you will have 30 to 50% less oxygen getting to your muscles above 18,000 feet. 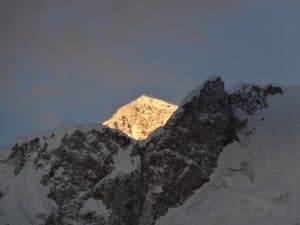 You need to minimize damage each day on the trail to Mount Everest. 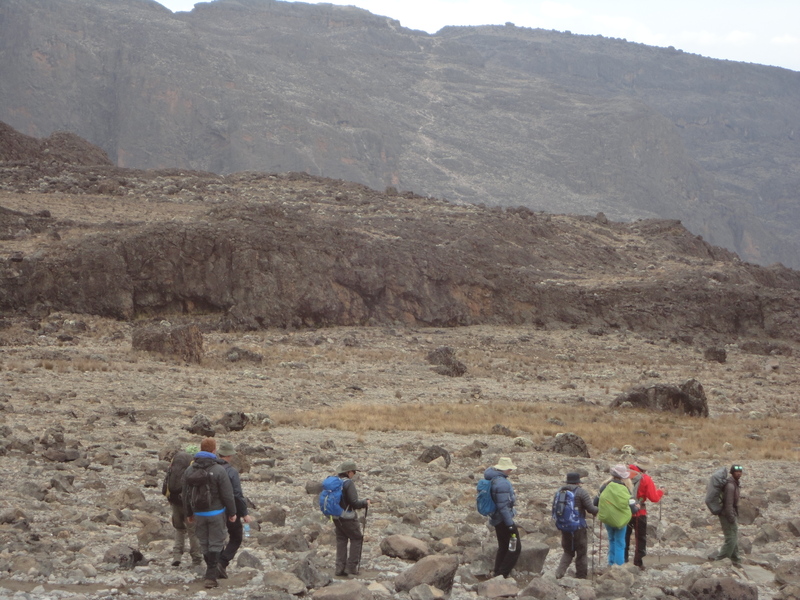 So the pace we move at and heart rate you maintain on this trek, is so so important. Let all the other people pass you by. You need to keep as low a heart rate as possible. Minimize the the damage to your muscles on a daily basis. Acclimatize slowly and you give yourself the best chance of making it safety to Everest Base Camp and back to Lukla. 13). Pick a team who pay their staff correctly. We have the same team on the ground for 10 years now. Each staff member knows us and we know them. We are adding new staff each year. They have to go through the Ian Taylor Trekking training plans. We have trained our staff over years and they get continued education and support from us. We also pay our staff and guides more than other companies who say they do. You can just ask our staff for yourself. 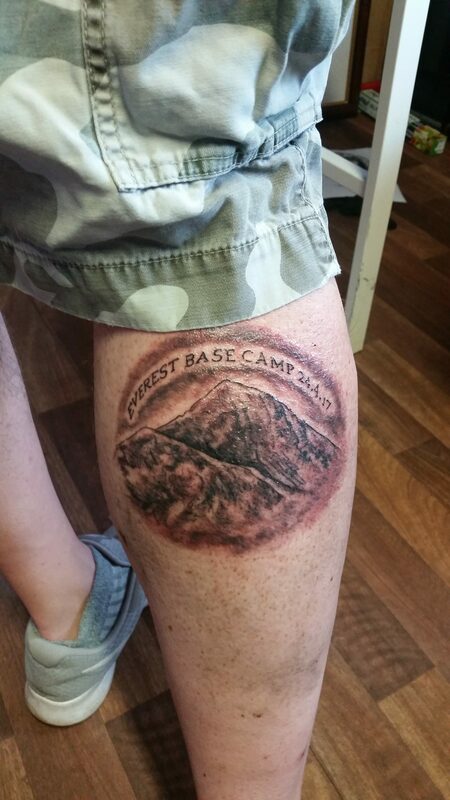 This costs more and we only want to run ethical trips that help our staff support their families and get ahead. We have hundreds of people contact us monthly looking to join our team in Nepal. Our support for Nepal. 14). Have oxygen on your Trek to Everest Base Camp. You need to have access to oxygen while you are higher up on the Everest Base Camp Trail. You absolutely need bottled oxygen available on your Everest Base Camp Trek. 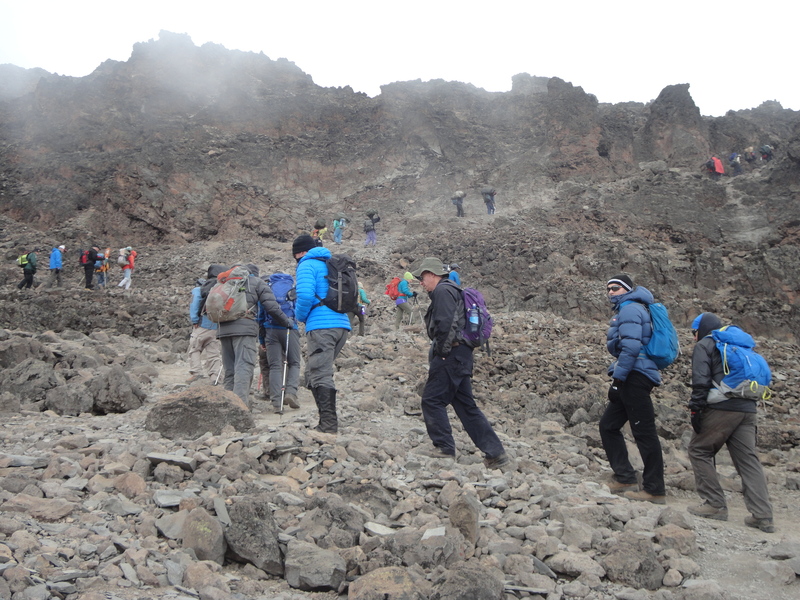 You should not climb with a team who does not have access to oxygen. You also need to be evaluated each day, twice a day for heart rate and oxygen levels. 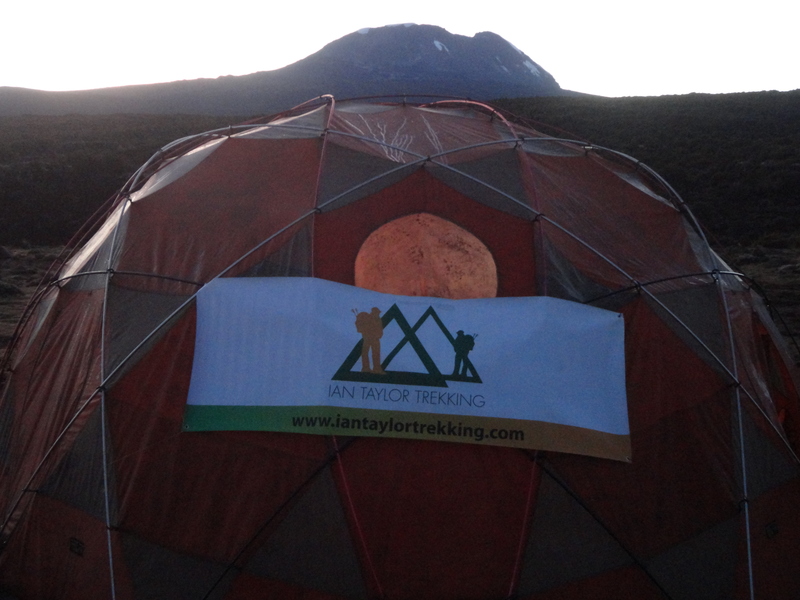 On our Ian Taylor Trekking treks and climbs we test your oxygen saturation in the morning at breakfast and in the evening at dinner time so we can evaluate how you are adapting to the lack of oxygen in your body and minimize the risk to you in this low oxygen environment. This is really important from day 1 on the trip. 15). Have emergency evacuation access. 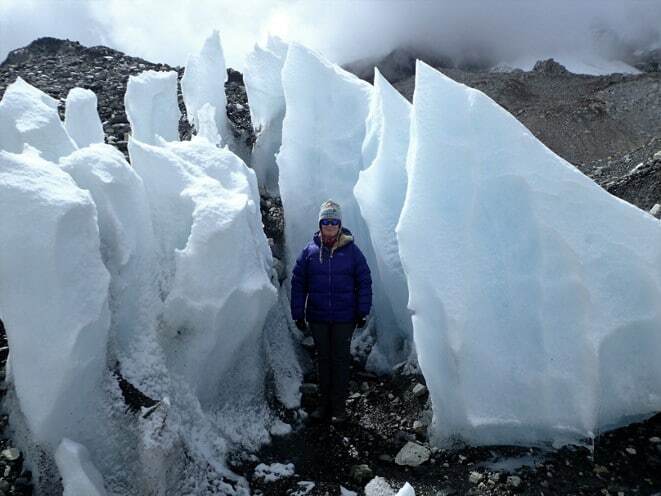 We have direct contact to one of the helicopter companies operating in the Everest region. Your insurance policy might require you to contact the insurance company directly but whatever the case we will act quickly to get you down to a lower elevation as quickly as possible. We will be checking your oxygen saturation daily, but if you are not coping with the lack of oxygen in your body we will see real indicators of AMS (Acute Mountain sickness) and if you need to be taken off the mountain. We can get you to a hospital very quickly from here. This is a really important safety factor you need to consider, so make sure you have the right insurance cover. 16). Make sure you have 1 guide to 2/3 people. 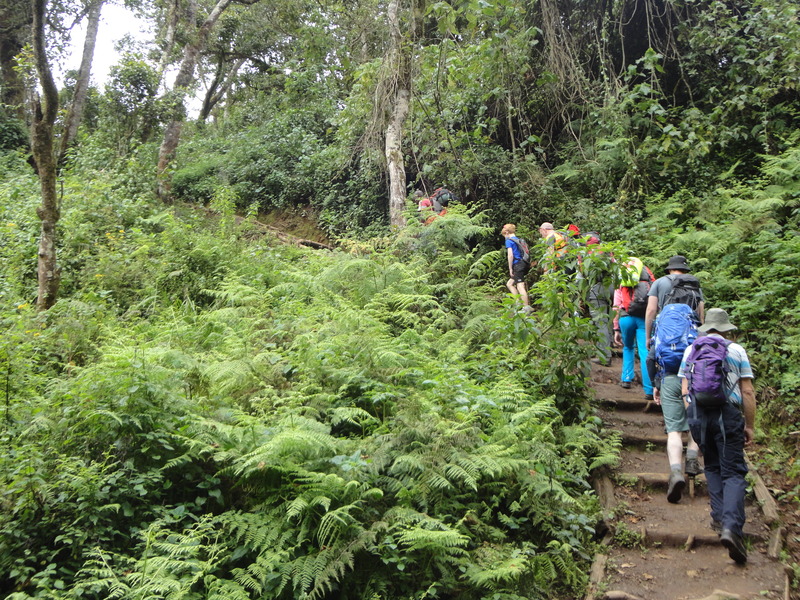 Most of our groups are a maximum of 10 people per group and we have 4 guides for 10 people. As I said we have a maximum of 10 team members per group. 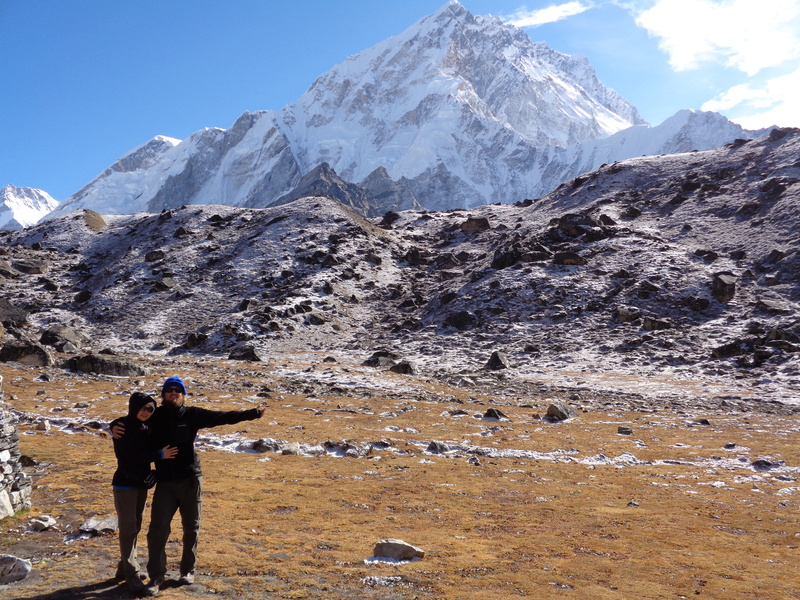 Having smaller team aids in safety on your trek to Everest. 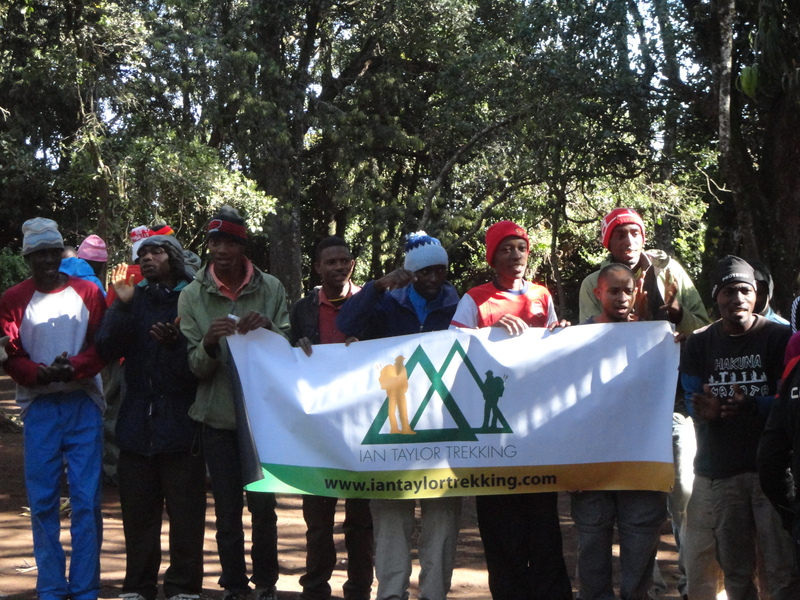 Our guides and support staff leading you know the Ian Taylor Trekking way. This year we had just under 270 people trekking in the Everest region and 252 people were successful in reaching their goal and coming down safety. You need to have this support just in case you or team members are struggling to get down the mountain as quickly as possible. You need to have these safety measures in place and minimize the risk you are taking in this extremely low oxygen environment. 17). Join a small group. Small teams means you are better looked after. Issues and concerns on the trail to Everest can be managed better. 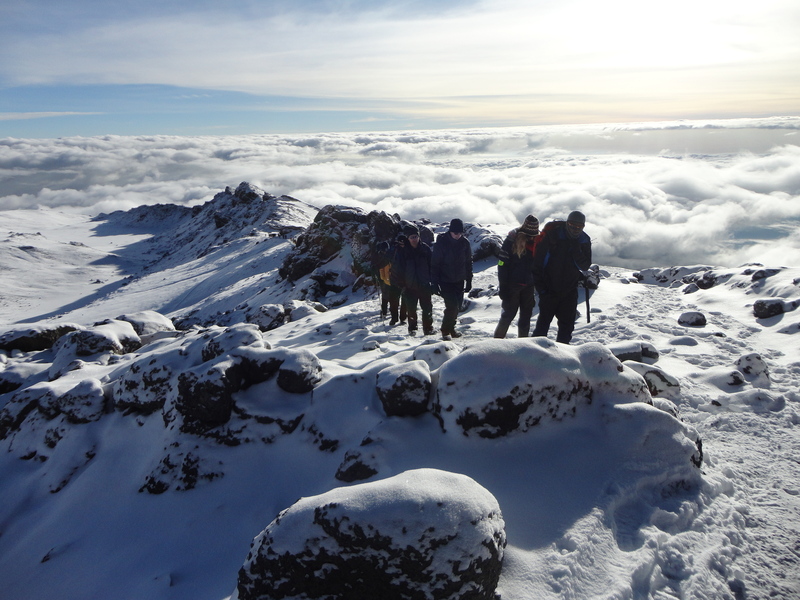 Smaller teams means you will have better access to our staff and our world class guides can get you know you better and spot altitude related issues a lot quicker. Our guides will be able to spot subtle changes in your behavior and be able to react quickly. Smaller groups means are more relaxed, safer and more enjoyable experience for you on the trail to Everest Base Camp. We have found a maximum of 10 people makes a more successful and more enjoyable and positive overall experience for each team member. 18). You need to have the right information from professionals before you go. Having access to people who have climbed Mount Everest and made this journey numerous times can make all the difference. 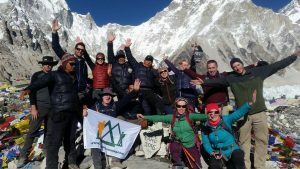 Ian Taylor Trekking have helped over 1,600 people reach Everest Base Camp over the years. 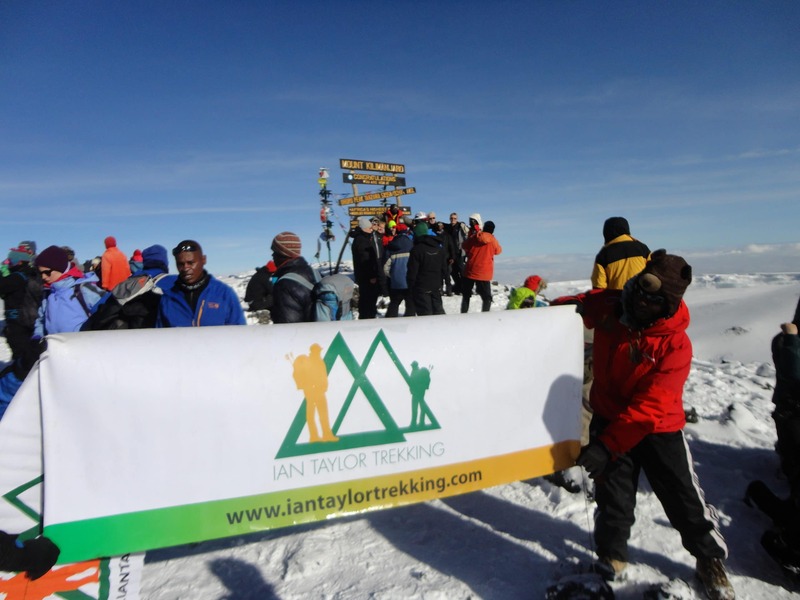 When you sign up to an Ian Taylor Trekking team you will have access to Ian and staff 5 days a week. They will answer all your questions, help you get excellent training advice and ready to assist you with professional first hand information which can mean the difference between success and failure. 19). 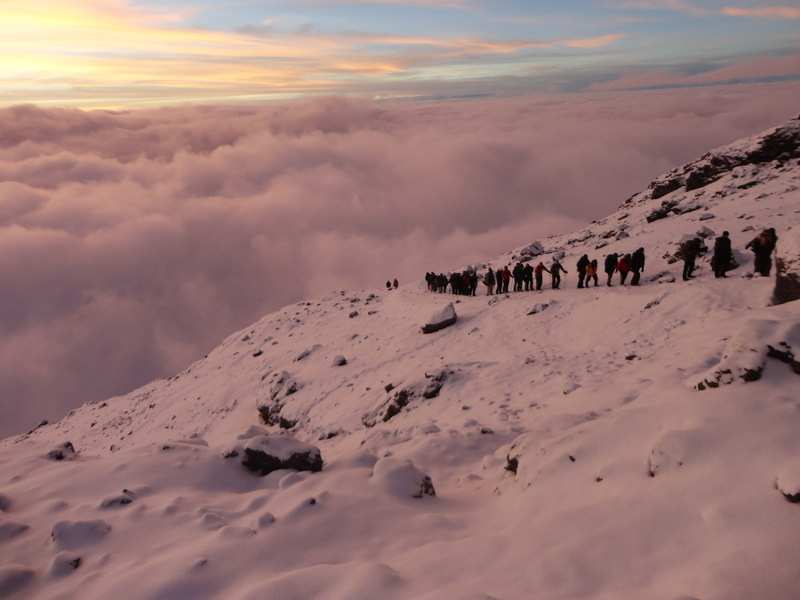 Practice the right breathing techniques needed for high altitude trekking. This is easier shown than me trying to write about it. Think about it like this. 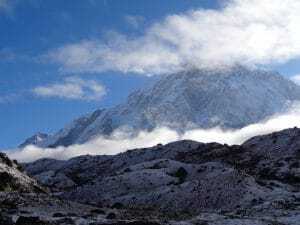 Your body, muscles are being starved of oxygen high in the Everest region. You need to force oxygen into your body. The right technique is, deep breaths through your nose and breath out through your mouth. You do not need to be doing this every step and it will vary from day 1 until the day you trek into Everest Base Camp. This technique requires focus and trust me you will need this technique throughout your trek to Everest. You need to make sure you are giving your brain, lungs, heart and body enough oxygen to be able to stay above 5,000m/ 17,000 ft. safely and get back safely down the trail. 20). CONTACT US today. 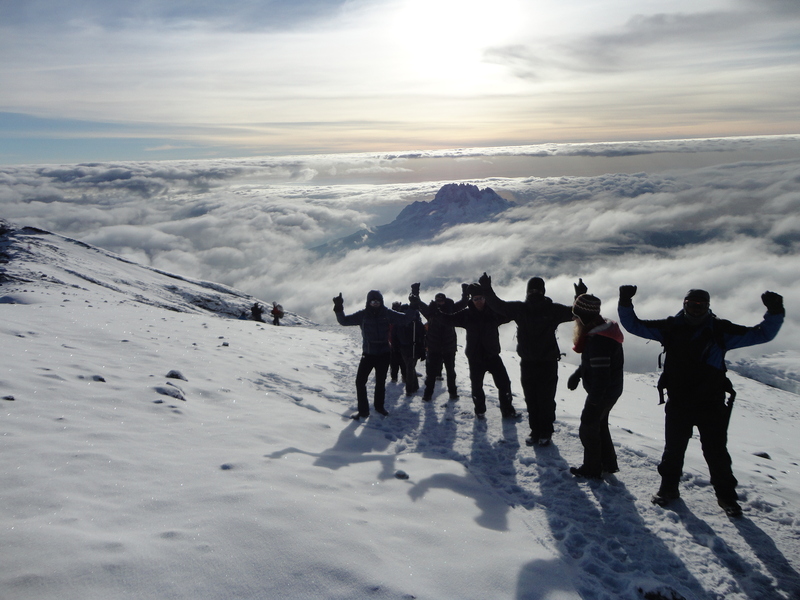 We can help you get all the information you need for your Kilimanjaro climbing adventure. 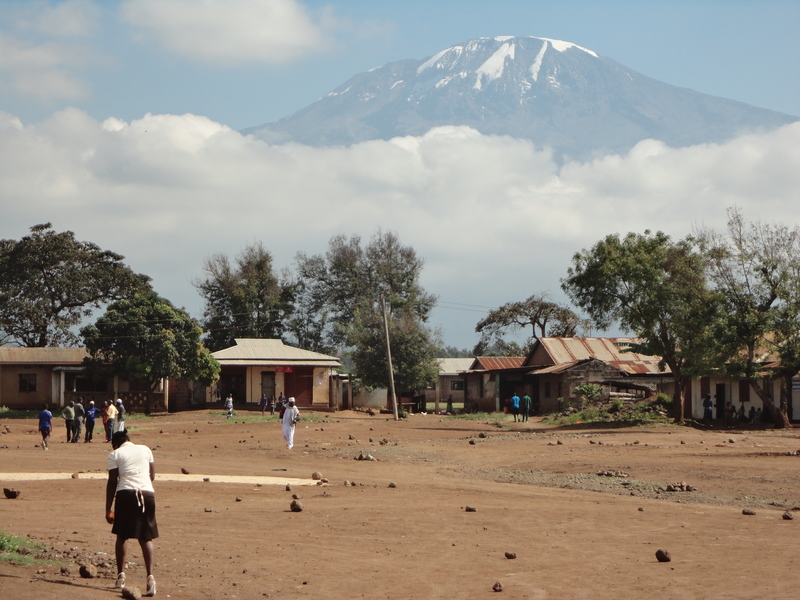 We have helped train our team on the ground over the years. Ian has lead over 30 Everest Base Camp Treks. Ian Taylor Trekking have helped well over 1,600 people reach Everest Base Camp. We have the team, service, set up and only run quality, safe Everest Base Camp Treks. Drop us an E-MAIL TODAY, pick up the phone and we can help you get the best information in preparation for your Everest Base Camp Trek.